High School Musical almost got it right. Over the years, I have written and shared many times about my judgmental journey. My eyes have been opened to the harsh standards I set for others, the walls I created to keep people out, the friendships I have missed out on and the insecurities that my judging stems from. I have grown and learned a lot, changing the way I view others in the process. I still fail, and each time God reminds me that I cannot love people the way they deserve on my own. I recently held a conversation with a freshman student, and she was saying things about other people that reminded me of what I might have said my freshman year. It was nothing cruel or harsh, but it was about the “cool” people–about knowing where and with whom you belong and the insecurities that comes with attempting any kind of relationship with someone outside of that social place of belonging. My heart broke for her. I knew exactly what she was feeling: longing to be accepted by all but aware of where her rightful place was, along with the fear and insecurities that we all daily face. I definitely recall multiple conversations in which I would talk about the “cool” kids or the “popular” kids or even the “cool kids table.” I knew my place, and it wasn’t there. In fact, I could probably tell you where everyone belonged. If this was a post-apocalyptic young adult novel, I would be in charge of assigning each person their role, tribe, spouse and so on. I had memorized society’s rules. I knew where the lines were drawn. 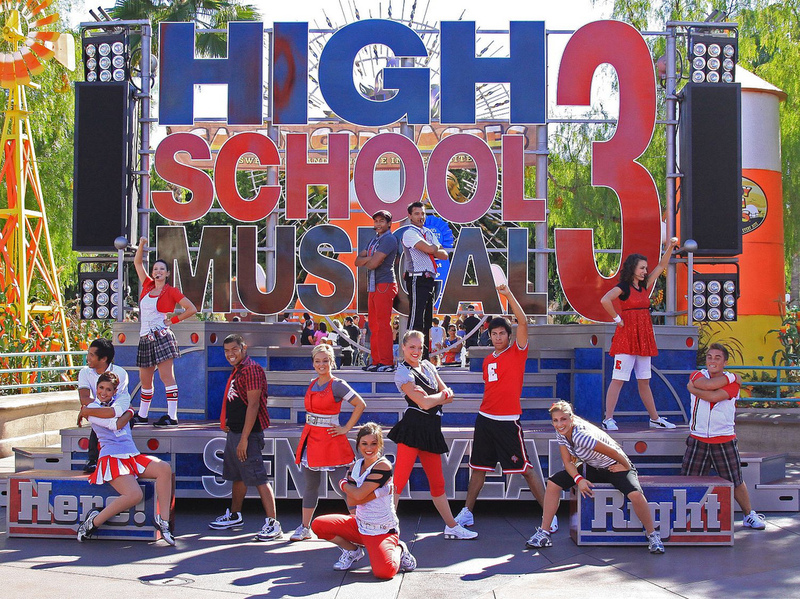 And, as much as High School Musical tried, to me, the social hierarchy still existed. I would tell someone else that they couldn’t deny it was true. They couldn’t ignore the facts. However, after and during my judgment journey, I began to sing a different tune. I would argue that of course those lines are there! But, it is our choice to ignore them, to move past the lines. Then the lines will disappear. The social hierarchy will only exist if you let it. Now, with only a year or so more under my belt of life, I’m not so sure. I don’t believe that ignoring those invisible but powerful lines makes them go away. I’m not sure that could ever really happen. It is human nature to be drawn to like-minded individuals. It is natural to be drawn together with those that are similar to you, the people you understand and share common ground and life experiences with. We crave comfort and security. In tribes with others like us, we find safety. Nevertheless, I also do not believe that we should allow those lines or an understanding of what is natural to force us into a box, never to leave or grow or change. I believe that, with the awareness that those lines, this social ranking, will never completely fade away, it is our choice to step across those lines anyway. It is our decision to be brave enough to knowingly cross outside of our social borders and safety zone, standing face to face with our deepest fears and insecurities, and learn to love others anyway. It is not moving up and down the ladder of social rank. It is passing through other lands and foreign territories, constantly. It is choosing to be socially homeless. It is looking at anyone unfamiliar and saying to yourself, I know that, according to society’s standards, according to those invisible lines that keep us bound, we shouldn’t get along or understand each other, but I’m going to try anyways. I’m going to try to see you as a whole and beautiful person, even if I am afraid you won’t do the same. It is saying, I know you feel safe where you are. That’s okay. I will come to you.